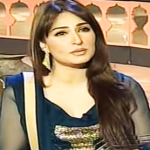 Sumbul Iqbal Khan is an emerging actress and model of Pakistan. She is known out to be one of the top actresses and models in Pakistan showbiz industry. Sumbul is very lucky because she earned huge fame at just the young age of 24 years old. In her so far career, she has been honored with many prestigious awards and recognition titles. People love her talented acting as well as clean media images. Her roles in ‘Raju Rocket’ and ‘My Dear Sautan’ are still fresh in the minds of people. Sumbul Iqbal, the super actress was born on August 30, 1990, in Karachi, Pakistan. She spent her childhood in Karachi. Sumbul has a sister named Kompal Iqbal. The actress received graduation degree in Karachi, Pakistan. Sumbul Iqbal started her career as an actress in television at only 19 years of age with the help of Imran Khokhar who introduced her to the Pakistan media industry. 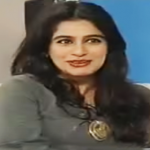 She made her debut in television arena with the TV drama serial ‘Tahir-e-Lahoti’. Sumbul spread her acting magic in several notable television series including ‘Morr Us Gali Ka’, ‘Dil-e-Abad’, ‘Hawa’ and ‘Rait Aur Angan’ those were telecasted on popular television channels of Pakistan. 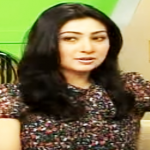 She also has appeared in some popular plays like ‘Babu Jee Dheeray Chalna’ and ‘Bhaag Bhari – Neeli Chhatri’ aired on Geo TV and ARY Digital respectively. The charming actress was awarded the ‘Hum Awards’ for Best Actress Soap in 2013. The innocent actress, Sumbul Iqbal has possessed completely a clean image while other actresses have been criticized for their scandalized personalities. She is still single and leading a fair professional life.